This feature is available with the PRO version of our plugin. This type of discounts can be used on company emails when trying to provide discounts to their own employees or staffs. 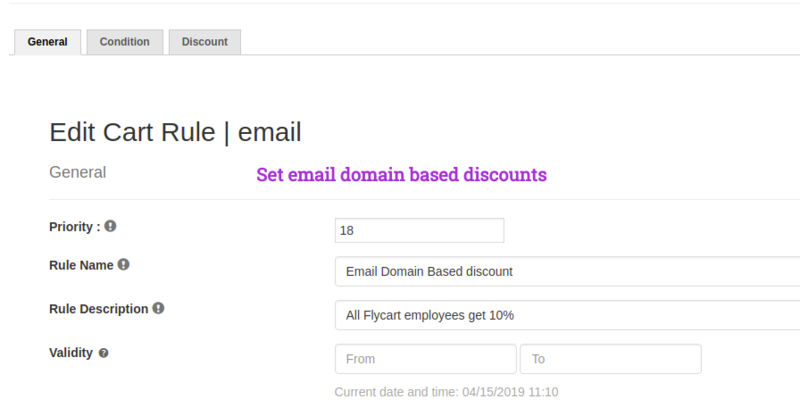 Let us see, how to provide a cart based discounts for the Specific Email domains or Email tld alone. 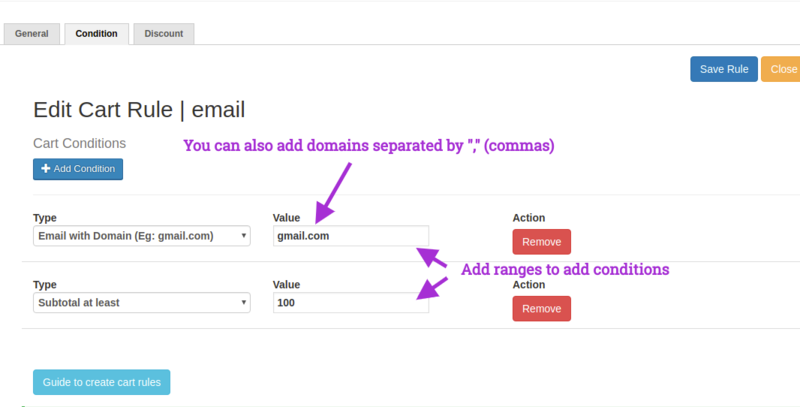 If you are trying to add more email domains, you can separate each domain with a comma "," so that you can add many domains for providing discounts. Email domain based discount will be automatically displayed in cart when the User is logged in. 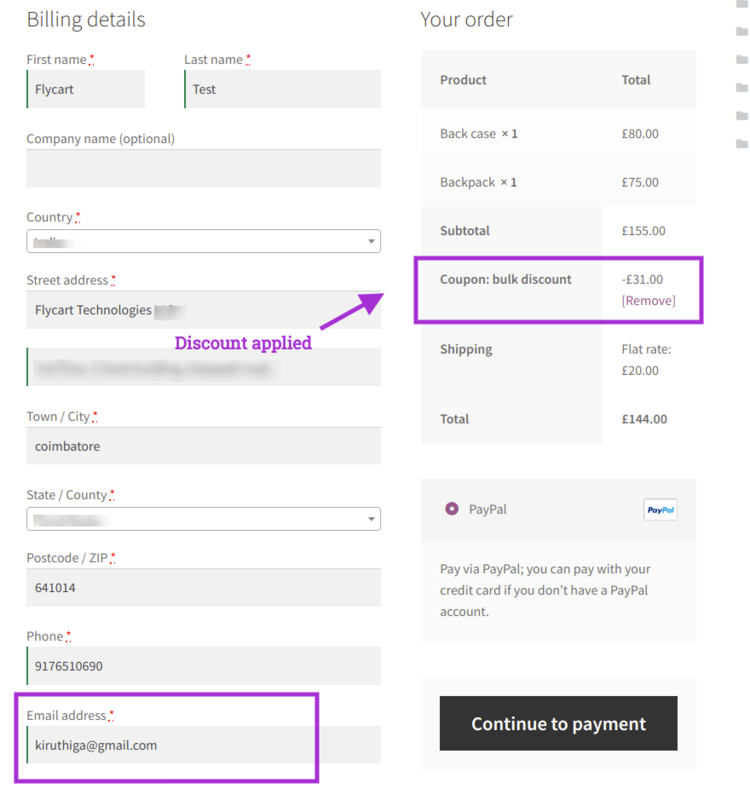 Or, the discount will be shown in the checkout when the user enters the email address with the domain. Use email with TLD option in the conditions tab.